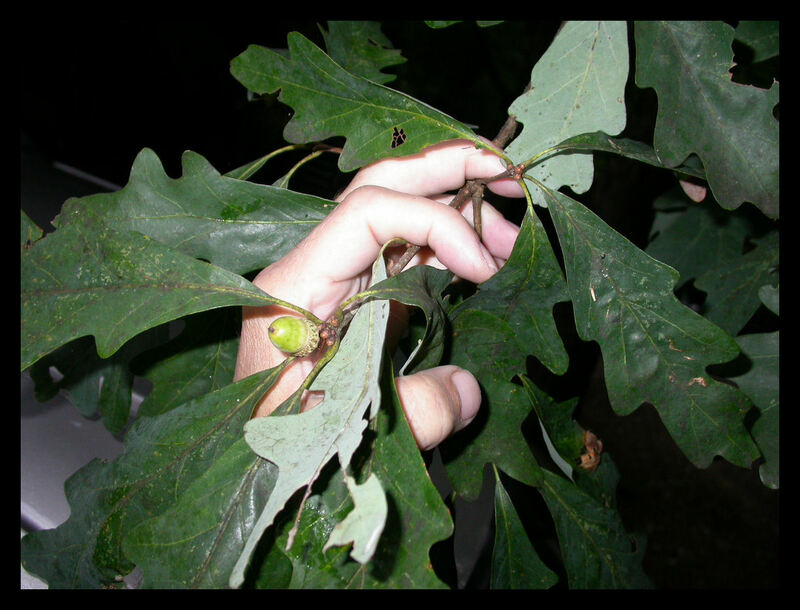 As you can see, the acorns on this white oak, are an extension of the current growth. 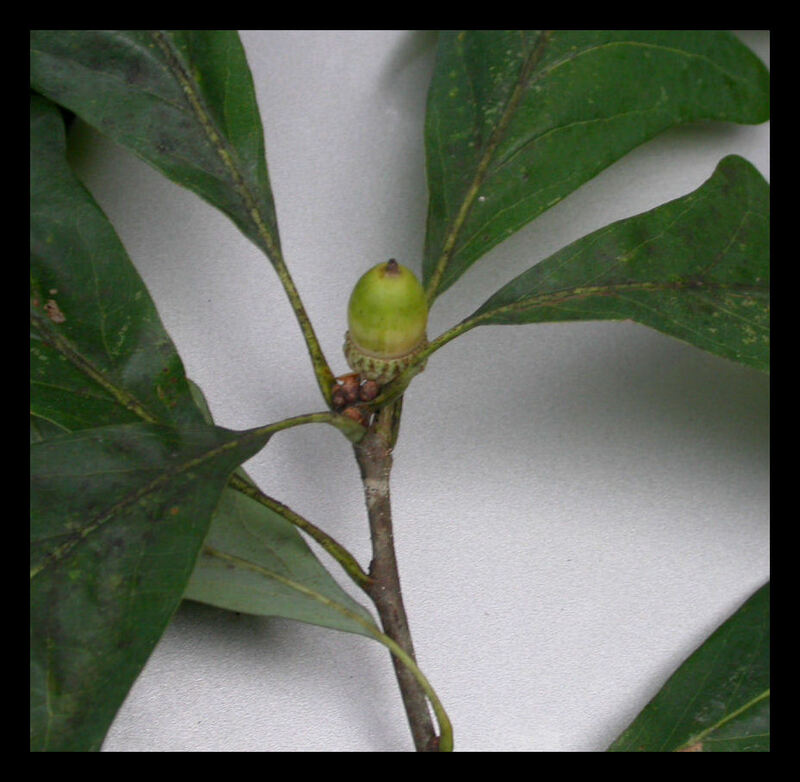 So we can say the acorns on white oak are born and mature on the current years wood. Northern red oaks give birth to the acorns the year before and they mature the following year, on what is, at that time, last years wood (click here for example).